The two jumper designs features red, blue and gold, similar to the national soccer side. 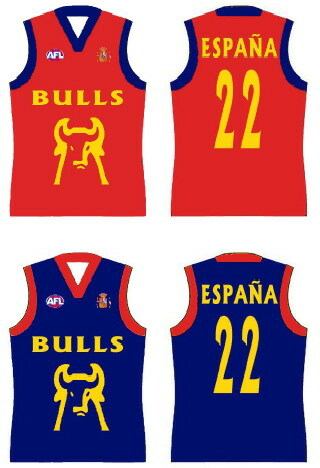 The main jumper has a red body with blue trim and a gold bull's head logo, with the alternate strip having the red and blue reversed. The Bulls are reportedly close to announcing their final squad for the cup.